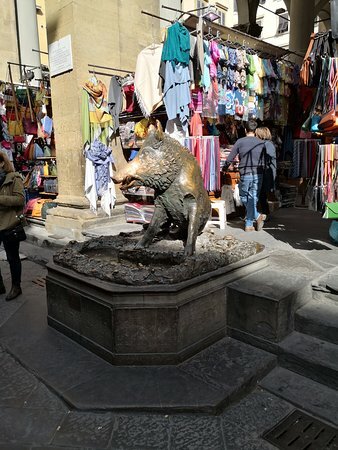 This is a small fountain/statue at the end of a small market where they do leather goods. 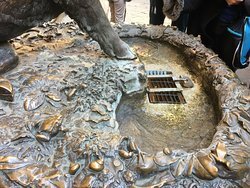 A lot of people were queuing to put a coin in the mouth to see if it falls in the right way. 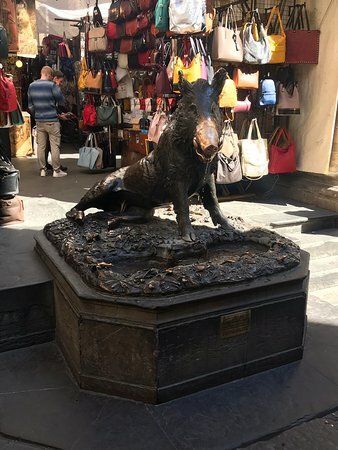 Well placed near the bridge, well worth walking passed and having a look at as it’s totally free! 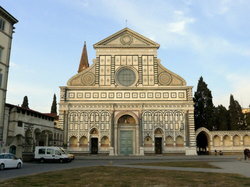 You may have to wait a while for the tour groups to finish up and move along. 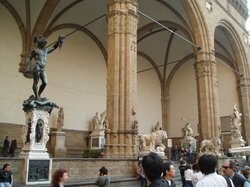 We saw the original made out of marble in the Uffizi gallery. 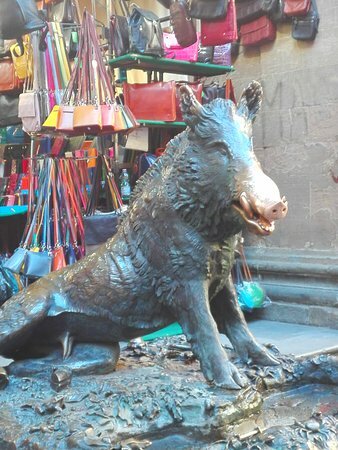 This one is in front of the market and lots of people take photos of it. It's nothing special to be honest. 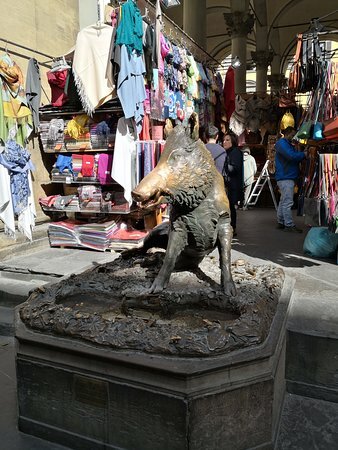 Either one is into good luck customs or not. 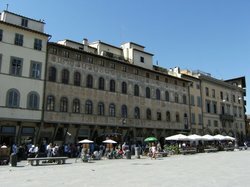 If you are, well you know what to do. 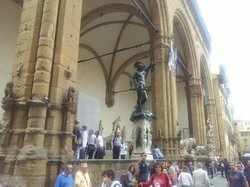 The metal statue is a bit of an anti climax, lots is people though trying the luck. 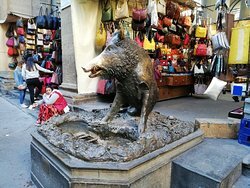 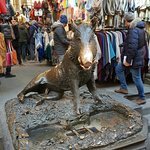 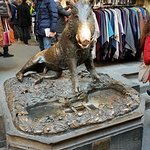 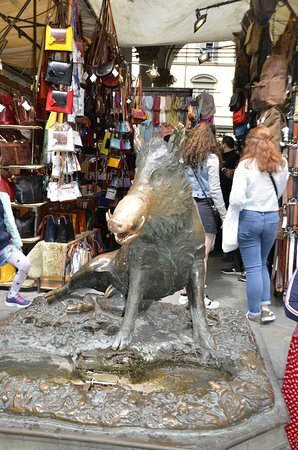 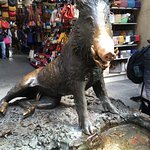 A bronze statue of a boar at the edge of a popular market place selling leather goods and souvenirs not far from the Uffizi Gallery. 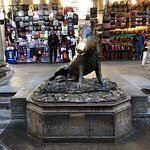 He is a star for photos and a good luck icon. 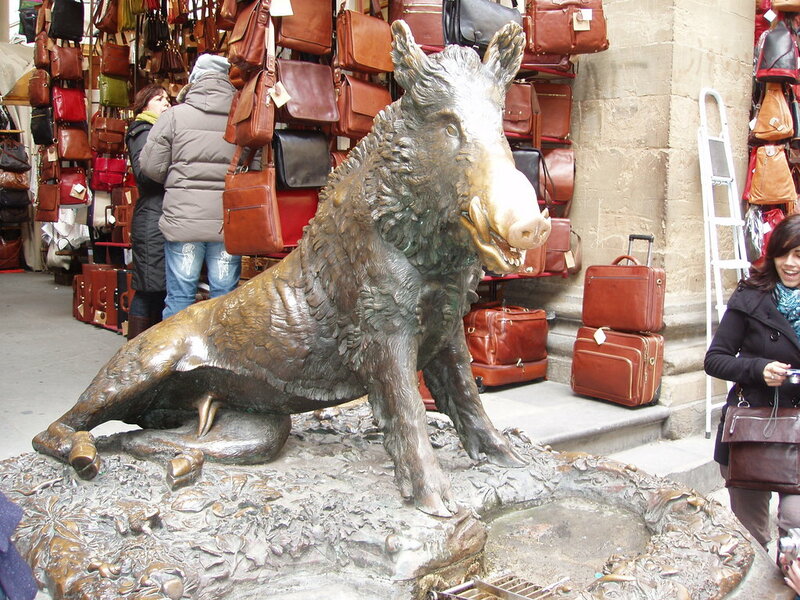 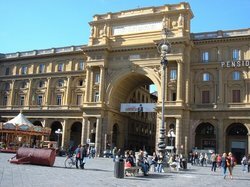 The original mold for Porcellino is in the Uffizi, a few minutes away. 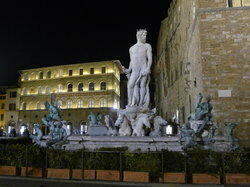 We did photos here when vendors setting up, so no crowds, compared to later in day..fun photo op!!! 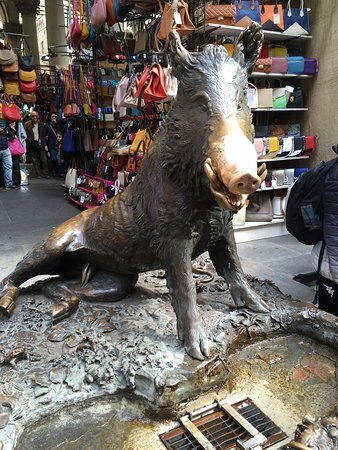 Get quick answers from Fontana del Porcellino staff and past visitors.